Phil Collins’ career has been guided by a simple motto: All it takes is all you have. He always has the client’s best interest at heart, and to him there is no room for half commitments. Phil began his first career in sales, but was later exposed to the legal profession through family members. He found litigation to be a natural fit for his competitive nature. Phil’s belief in consistency and excellence defines his dedicated approach to practicing in the areas of long term healthcare, medical negligence, insurance defense, product liability litigation and mediation. 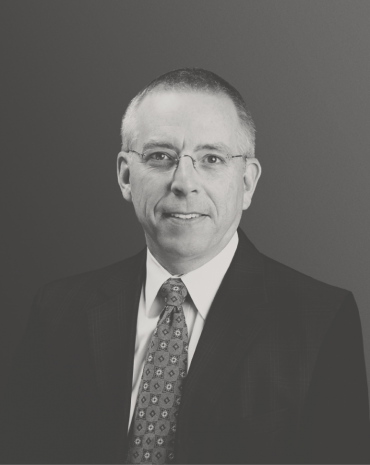 Since joining the firm in 1997, Phil has successfully defended a wide range of corporate defendants in personal injury cases, including hospitals, nursing homes, underground coal mining operations, product manufacturers, home builders, food processing companies, trucking companies and scaffolding companies, to name a few. He has also represented numerous insurance providers in direct-action cases. His individualistic, highly organized and fiercely competitive approach has served his clients well over the past couple of decades. Additionally, Phil has served as an Adjunct Professor at the Birmingham School of Law, teaching Torts I & II, and has lectured on numerous topics. Phil is also a registered mediator listed on the Alabama State Court Mediator Roster. In his free time, Phil enjoys golfing and is an avid marathoner. His wife, Catherine, and he have three children. Phil earned his BS from Auburn University and his JD from The University of Alabama School of Law.